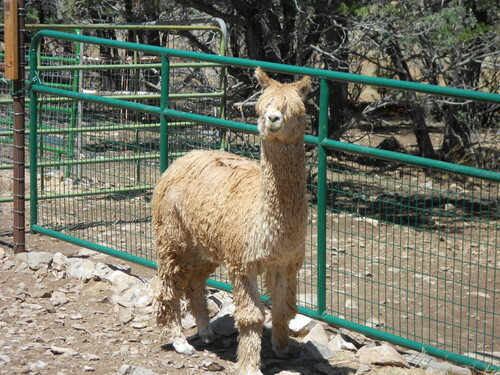 Zarita has lustrous, fine, and well locked fleece. She has excellant coverage and very correct confirmation. 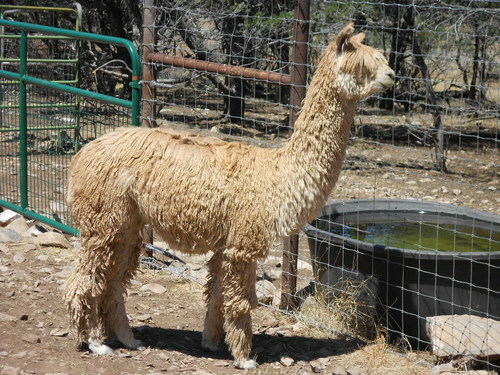 Zarita's dam's fleece has remained very fine over the years and her sire, 1/2 Accoyo LCA Pecos, has passed his luster on to Zarita, making for a beutiful Suri female. 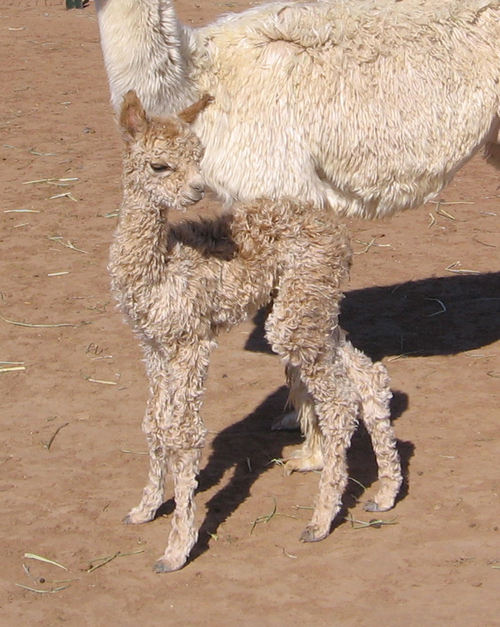 The Macgyver line produces exceptional cria and Zarita's 2010 cria, Braecroft Beowolf, is no exception. 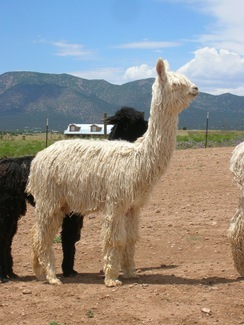 Beowolf has a beautiful medium fawn colored lustrous fleece. 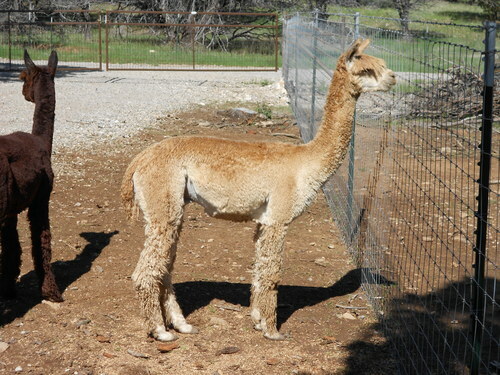 Beowulf is a beautiful medium fawn Suri male. 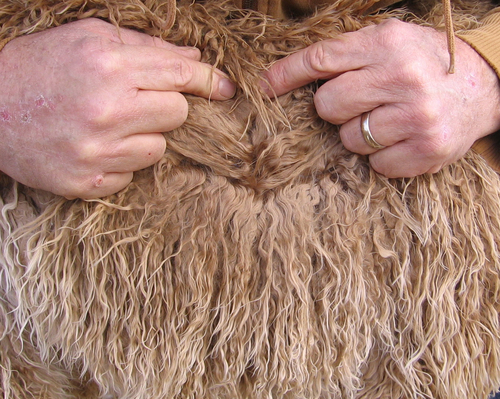 His fleece is very fine, has consistent lock structure to the skin, and is very lustrous. 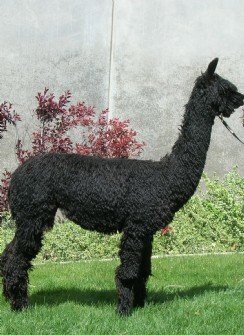 His conformation is correct and Beowulf displays excellent presence. 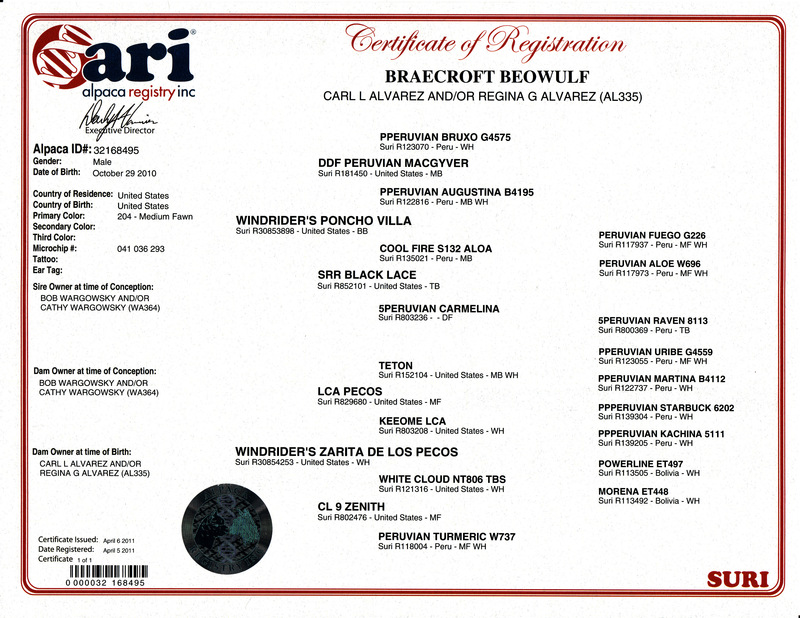 Sired by Windrider's Poncho Villa, a true black DDF Peruvian Macgyver son, and a great grandaughter of Peruvian Uribe, his genetics are a powerhouse for color, fleece, and phenotype. Beowulf placed 5th in a strong class of 13 at the 2011 AOBA National. 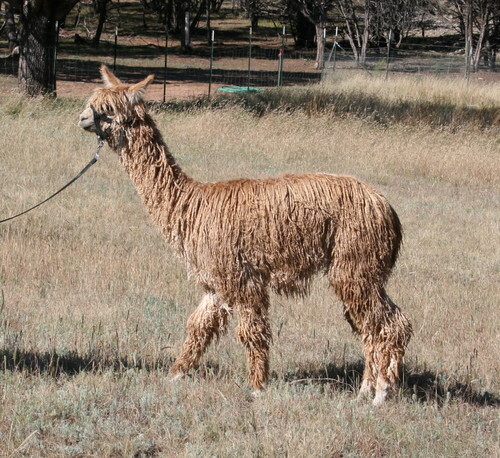 The judge noted he was the youngest in the class, superb presence, excellent conformation, has excellent potential as a herdsire, excellent lock structure and coverage.